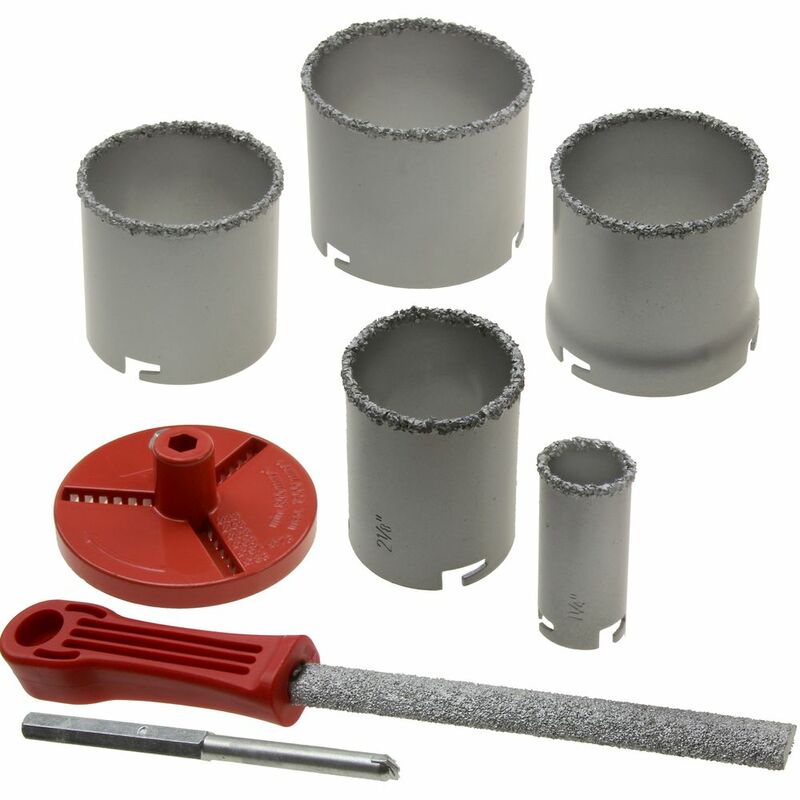 Cut Clean Holes in Hard Materials! 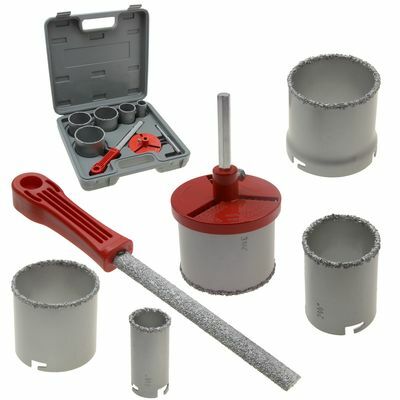 This hole saw set is self-sharpening for long life. Every time a tungsten carbide particle chips another cutting edge is created. 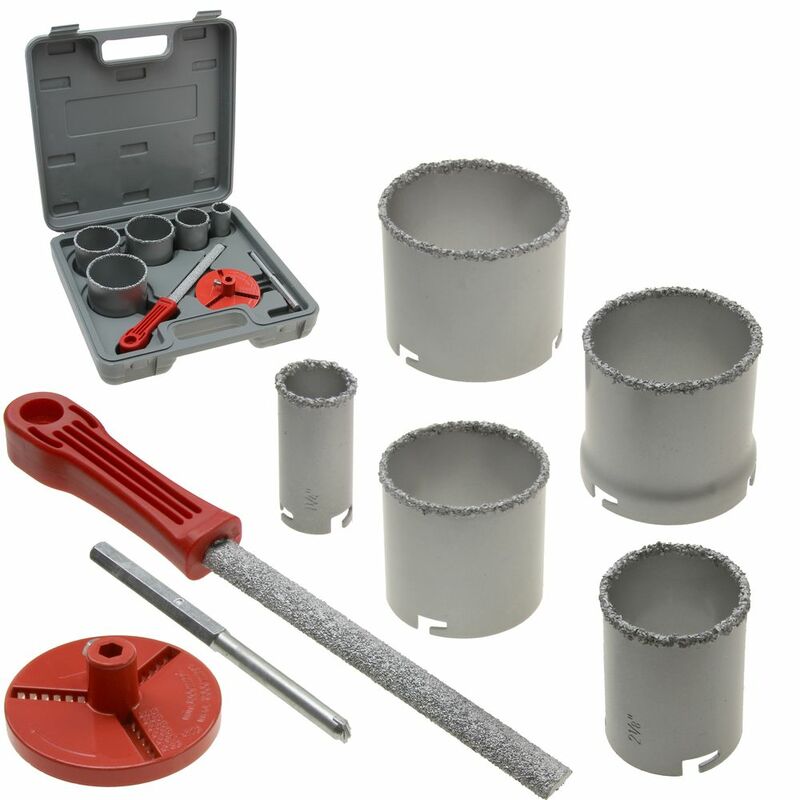 Will cut clean, accurate holes in hard materials such as ceramic, plastic, fiberboard, fiberglass, concrete block, and plywood up to 2" thick. 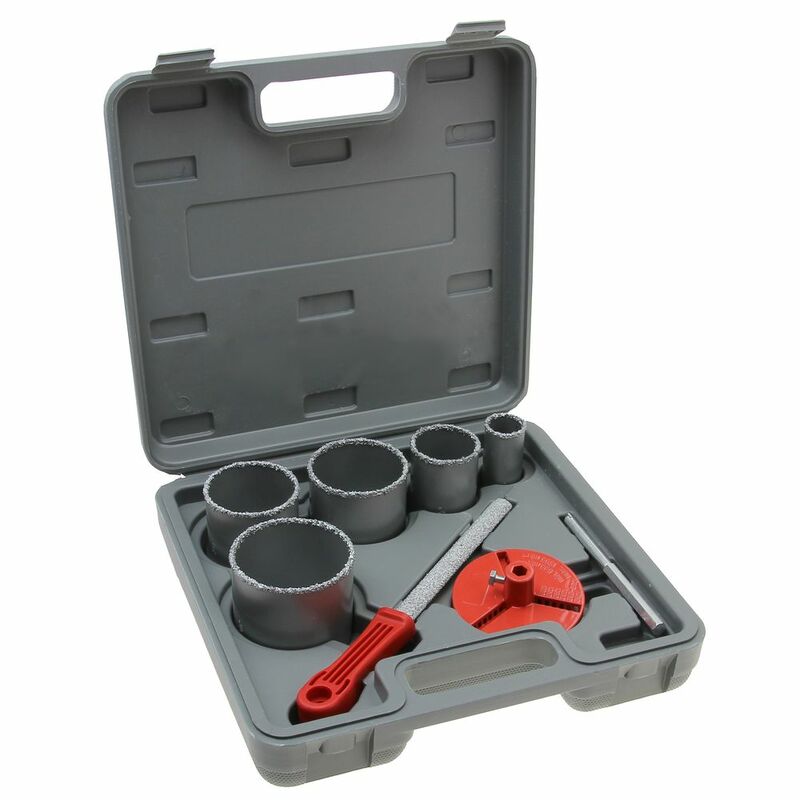 A must-have tool for cutting standard faucet and shower head pipe holes in tile. Machined & hardened carbon steel body with brazed on crushed C2 tungsten carbide grit cutting surface.